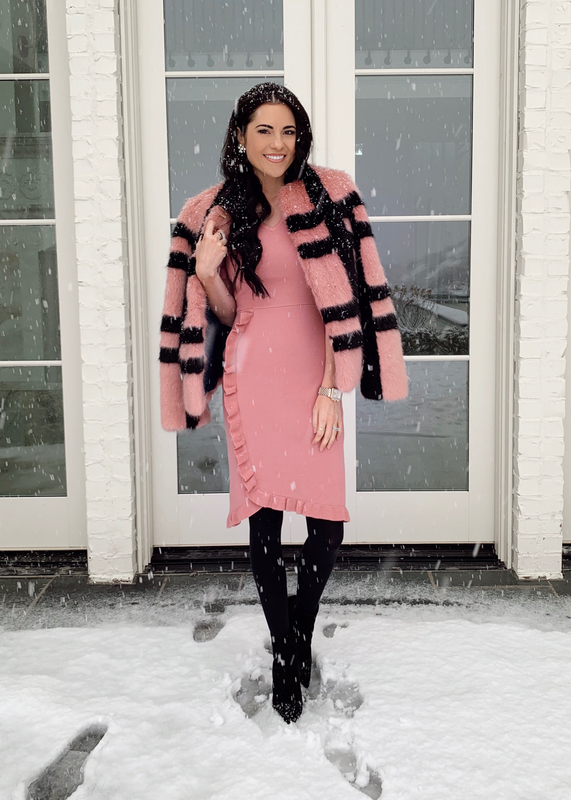 One of my favorite Sunday best looks yet from two weeks ago wearing the Rachel Parcell Oxford Dress in pink! **Today is my birthday so I wanted to give something special to you ladies!! Today only take 30% off your order on RachelParcell.com! Use Code: BIRTHDAY30 at checkout! Happy shopping!! Thank you, thank you for all the birthday love thus far!! So grateful for each of you!! 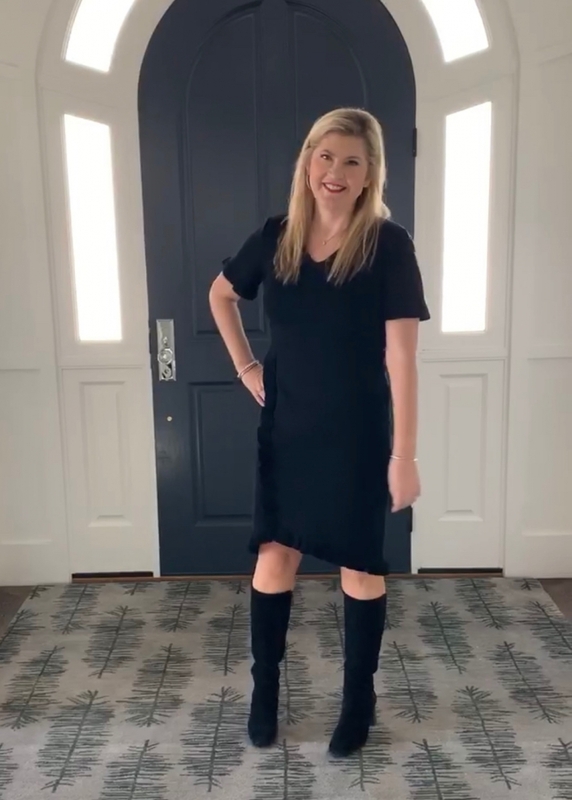 ^^How cute is my mom in the Oxford Dress in Black?! Love! Such a flattering dress on every body type and every age!! I’ve seen 16-year-olds in this dress, to women in their 50’s and 60’s rocking it!! Simply a gorgeous look … love ♥️it and Happy Birthday Beautiful! Happy brithday! I hope you have a Womderful Day and that the next year is the best one yet! The dress is stunning both on you and your beautiful mom! Thank you! Yes she is rocking it! LOVE LOVE LOVE this outfit! That coat? Stunning. Happy birthday, You always look beauitful in your pics. I love your Stairway and floor. You have exquisite taSte! Can you tell me where the ottoman came from? This is such a gOrgeous dress! So flattering too! I am in love with the oxford dress. It looks just beautiful on both you and your mom! I don’t want to miss the sale price, but i’m a bit unsure what size to order. I was going to go with the medium or large. maybe you can help.i’m 5’6′ 132lbs. thanks so much! Thank you so much! I had a great day with my loved ones, thank you for the birthday wishes! I love all the pink! The fur coat with this dress is so beautiful. Thank you so much! That’s a great idea! Thank you for sharing. Awww, happy birthday! I hope you had a wonderful day. Happy belated birthday! You look beau in your pink dress and I love that coat! So cute and cozy!